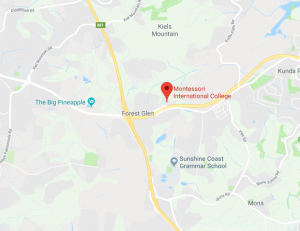 New MIC Mum Tara Rogers said she chose our College for her four-year-old daughter, Eloise, because each child is catered for at their own level. 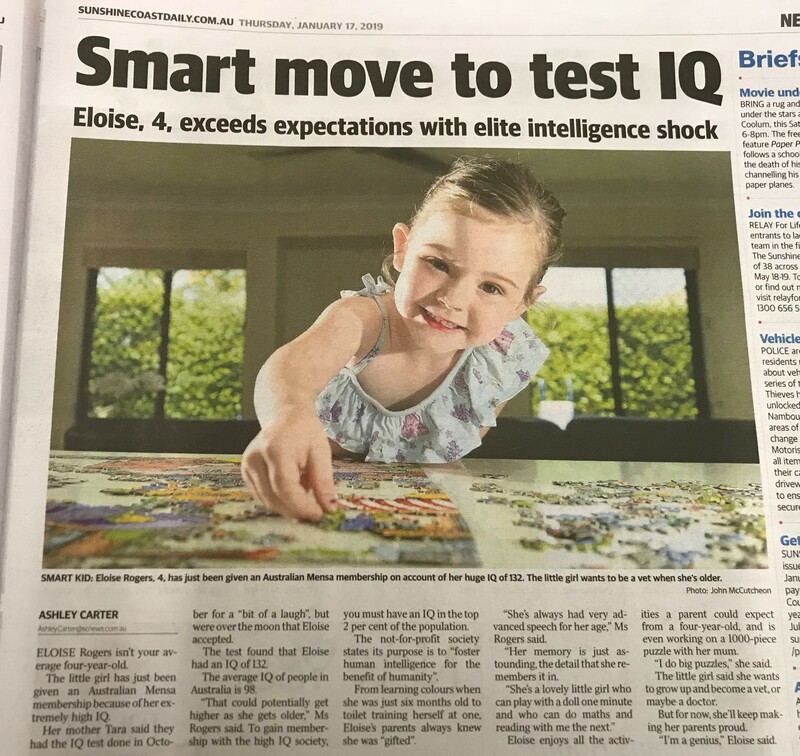 Although choosing a school is a big decision for any parent, it was particularly tricky decision for Tara and her husband as Eloise has an extremely high IQ – in the top 2 per cent of the population. “We always knew she was gifted – her memory is just astounding,” said Tara. Eloise started school for the first time this week and has joined our Early Years program in the Nawa environment. 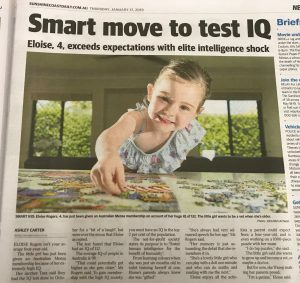 Eloise has attracted the interest of the Sunshine Coast Daily. Her parents say they chose MIC because of the ability of the College to cater for every individual child. Supporting the individual passions and strengths of students is our specialty so we look forward to getting to know Eloise and welcome the Rogers family to the MIC community. 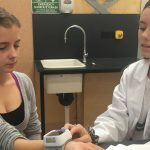 At Montessori International College students enjoy a learner-friendly education and experience hands-on, multi-dimensional, broad-based learning with the support of a caring and inclusive community. Montessori education is structured so that children learn how to manage their own learning; how to identify good questions and find their own answers independently. Small by design, Montessori International College is able to personalise, adapt and respond to students’ needs with learning is diverse, cohesive and purposeful. For more on the Montessori approach to education, visit the What is Montessori page of our website. Eloise also featured in a recent story on 9 News Sunshine Coast.